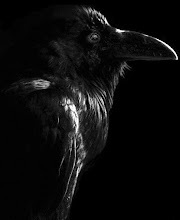 Nevermore: Incoming book rant. Oh god run while you still can. Incoming book rant. Oh god run while you still can. *beeps* Incoming book rant...take cover as of immediately. Do not stop to gather personal possessions. Proceed to the nearest bunker, get into the crash position, and nod and smile. So someone told me that they had read a review of Northern Lights, that claimed that the books were utterly racist, because they had no black characters. Moving on from this highly ignorant statement, that I am sure requires no explanation as to why we are moving on, I decided to go and read some of the reviews written by people who reeaaaaly didn't like the book. shaped kindred spirit) the book is a farce. Quite ruidiculous!!! Oh god this one had me in stitches. Simplistic...only if you read it with your eyes closed. But the best bit, is the "some kind of pointless animal shaped kindred spirit"
....*chokes back manical laughter* Animal shaped kindred spirit? Oh my god, that is beautiful...Yes, Pantaliamon is actually a kindred spirit to Lyra. He is actually just like a twelve year old girl bursting to get out, he likes to play on the roof, and he can't help being animal shaped, nor can he help being stuck to Lyra as if by superglue. Nah, 'reader from london', the only ruidiculous thing here is the fact that you read a whole book with your eyes half closed. would have read it if it wasn't compulsary for school and stuff, so yeah. Heh, you lucky sod, I wish it was compulsory at my school. A lot of people were saying, that they did not understand how this lived up to Tolkien. Me niether...who on earth said that HDM was like Tolkien? Do you have any idea how this is anything like Tolkien? And...can you please explain it? Also, did you know, that I once spoke to someone in a bookshop who tried to tell me that Northern Lights ripped off things from Harry Potter. It's a bit hazy...I think, I might have pointed out how Northern Lights was published in 1995, Harry Potter in 1997, or I might have choked on my own frustration that stupid people are allowed talk about books, and then had to have been rushed to hospital...I can't remember. And my last question, note the tone of frustration and despair in my voice...Why the FARK does everyone compare everything literary to Tolkien?? As if Tolkien is the perfect mould, and anything that deviates from him, is poor, and anything that doesn't deviate from him, is a rip off! Gaahh! Tolkien wasn't the first writer, or the first to fame, or the most skilled author to have ever lived and breathed! Yet everyone always says 'like Lord of the Rings' or 'this copies Lord of the Rings' and similar comparisons. Arg, why? People compare Eragon to LOTR, they compare Harry Potter to LOTR, they compare HDM to LOTR, and they actually compare every bluddy thing that qualifies to be fantasy, to LOTR. Like I said, if it is similar, then it is a rip off. If it is not, then it is crap, and does not live up to Tolkien. Arrggg...*nerve twitches* Why? Why why why why whyyyyy??? Tolkien didn't invent fantasy! And there are extremists out there, who actually think that he did? I have also met extremists, who tried to tell me, that if I don't like LOTR, then I am not a fan of fantasy. Full stop. Um, I was not impressed. Tolkien is one of the first, or possibly the first, to be famous in the fantasy genre. Now me, I don't like LOTR much at all, but that's not the point. Tolkien didn't invent elves. He didn't invent dwarves, he didn't invent wizards, he didn't invent magic, or fantastic battles, or dragons, or swords and axes and bows and arrows and stuff...That was all there before! Yet if anyone writes a book with these things in it, they are instantly put into the 'damned if you do, damned if you don't' category I listed before. To rip off, or not to rip off? That is the question. Umm...sorry, got all proud of myself there. I'm back!Anyway, I lost my train of thought now. Um, yeah. My point is: Haha! Look at the silly reviews. Why why why why why (you get the message) do people compare everything on this earth to Tolkien and LOTR?? ?